When it came time to feed her solid foods, Big Sister E started out as a pretty good eater. Pretty much anything that we put on her tray made her happy, so we were able to give her a wide variety of healthy and nutritious foods without any problem. Fast forward to our now-3.5-year-old who would probably live on plain noodles with cheese and peanut butter sandwiches day in and day out if we let her. There are times now and again when she will declare, "I'm going to try something NEW!" and take a nibble of the latest item on her plate. But, as it usually it is pretty difficult to even get her to look at different foods, I will always be on the lookout for ways to make what she currently likes a little more nourishing. 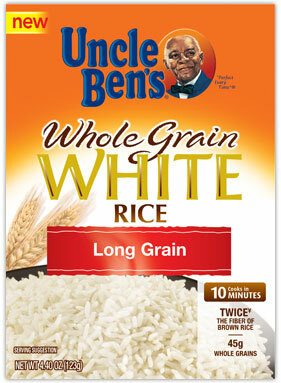 Enter Uncle Ben's and their new Whole Grain White Rice. When Uncle Ben's Whole Grain White Rice arrived, I was impressed that it not only cooked in 10 minutes but was such a good source of fiber and whole grains. But would it pass the Big Sister E test? It claimed to have the same taste and texture of regular white rice, which she loved, but I knew that if it wasn't the same, she wouldn't eat it. 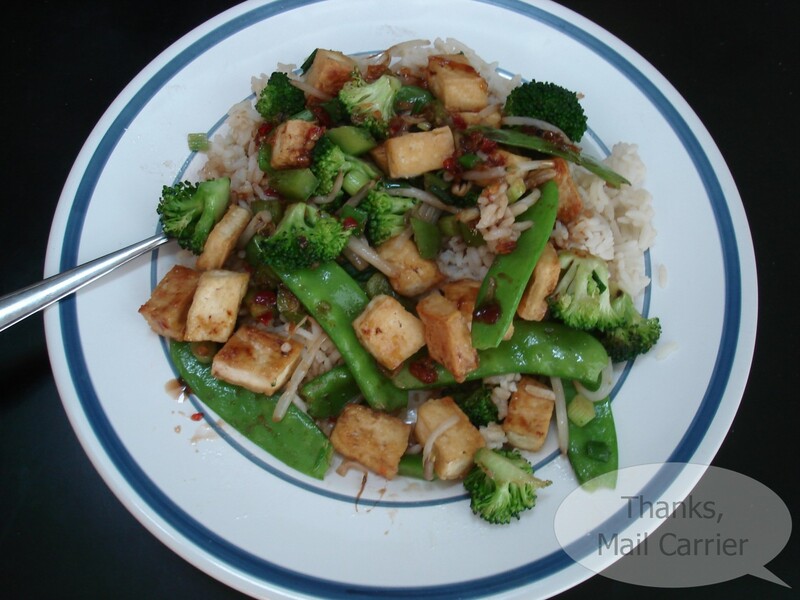 Even though both girls will eat rice plain (Big Sister E likes a sprinkling of soy sauce on hers), I decided to make a tofu and vegetable stir fry to complete the meal. It worked out great that by following the easy directions on the Uncle Ben's box (boil water and the rice and then reduce the heat and simmer), the rice cooked while I prepared and made the stir fry. Yum! I was really excited not only about how my stir fry turned out, but on how well it was complimented by the rice. It didn't taste grainy or mushy and the flavor was just right on its own or with the meal. As for my picky eater and her little sister? I left my tangy sauce off of their meals and watched as they devoured their bowls. "Is it good?" I asked Big Sister E, between bites. She nodded and continued alternating putting forkfuls of rice and vegetables into her mouth. Success! Both she and Little Sister B couldn't tell the difference between the white rice that we normally eat and Uncle Ben's Whole Grain White Rice. For a tasty and nutritious alternative to plain white rice, I was really happy with this product. Why not take a food that my girls enjoy and make it better for them? Look for Uncle Ben's rice at your local grocery store and make sure to take along a coupon to save some money while you're browsing their yummy varieties! I wrote this review while participating in a blog campaign by Mom Central on behalf of Uncle Ben's and received samples to facilitate my candid review. Mom Central sent me a gift card to thank me for taking the time to participate. mmm mmm good - I love Uncle Ben and Emma loves rice. I think she'll be a sushi eater. How are you?